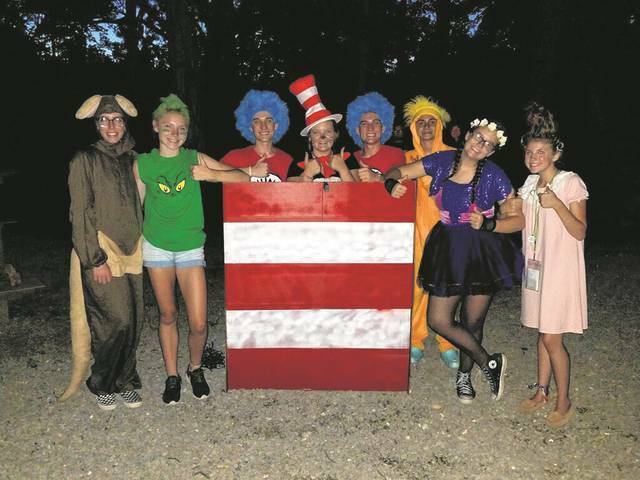 All Preble County youth ages eight (and in the third grade) through 13 had the opportunity to experience a Dr. Seuss-themed 4-H Camp at Camp Clifton in Yellow Springs. Oh the Places You’ll Go! was the theme of the week, as the campers got to experience everything from campfire and fishing to a ropes course. The thing for this year’s 4-H Camp was Oh the Places You’ll Go! 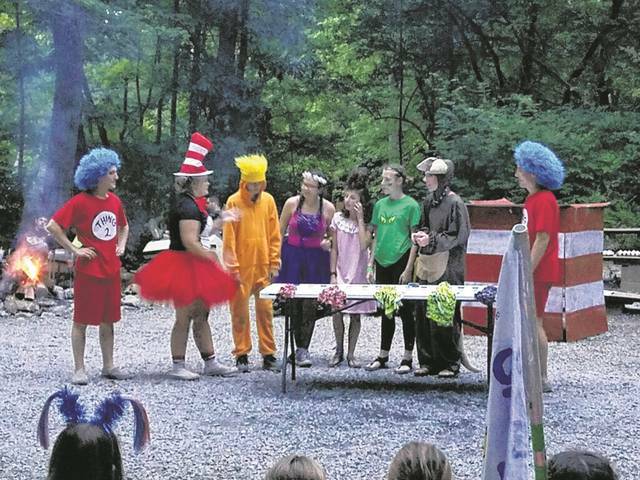 which included Dr. Seuss themed nights, giving campers and counselors and opportunity to dress the part and have fun. 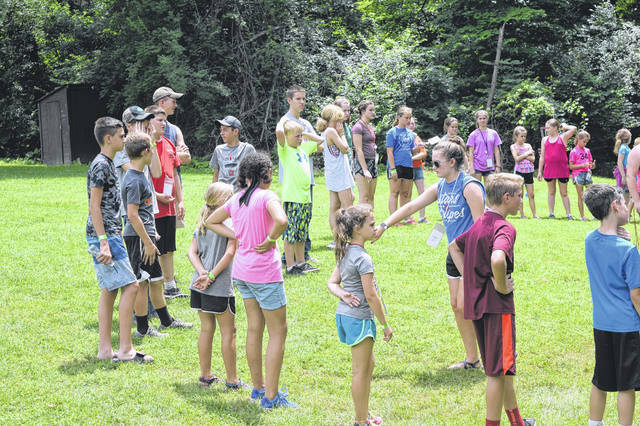 YELLOW SPRINGS — All Preble County youth ages eight (and in the third grade) through 13 had the opportunity to experience a Dr. Seuss-themed 4-H Camp at Camp Clifton in Yellow Springs last week. Oh the Places You’ll Go! was the theme of the week, as the campers got to experience everything from campfire and fishing to a ropes course. 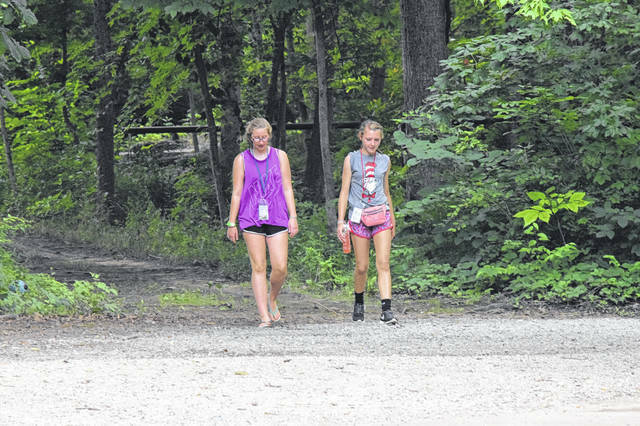 Not only did Preble County youth get to experience the camp, but teenagers worked as camp counselors, getting to spend a last few years in an environment many grew up in. Camp took place from Saturday, June 30, through Wednesday, July 4. According to Preble County 4-H Educator Christy Millhouse, for many kids in Preble County, 4-H Camp is the highlight of their summer. “It serves a lot of purposes. Not only is it the opportunity for kids to get unplugged, but it may also be the first time many of them learn to be away from home and be with other kids,” Millhouse said. “For some of them, they have to learn the responsibility of taking care of themselves. The campers learn a lot of life skills, but they also to have a lot of fun. During camp, there are programs like swimming, Field Olympics, Water Olympics, campfire, a ropes course, and more. This is the second year Preble County camped at Camp Clifton. According to Millhouse, this camp offers more opportunities for the kids — like the high and low ropes course. Camper Cheyeanne Epperson is in her last year of 4-H Camp, but hopes to be a counselor in upcoming years. “Throughout my years, I have met a ton of new people. This is my last year as a camper, so I’m going to apply as a counselor next year, which I’m really excited about,” she said. “It is really fun. There is so much to do. Today, I had survival skills and I learned how to make a fire. All kinds of different things. There are so many great things you can do at camp. I grew up with some of the people who are here. “It is bittersweet, you get to an age when you’re ready to move on and do other things – allow the younger ones to fill your shoes, but like she said, we will have these memories forever,” Whitesell said. 4-H Camp is for kids who are eight and in the third grade, or nine and in any grade, through 13. Camp counselors do not have to be former campers. Registration materials are released in march. More details can be found through the extension office.